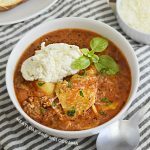 Easy Instant Pot Taco Soup recipe is made with ground beef, black beans and a few other ingredients for a quick and easy dinner that’ll warm your soul! Aren’t you glad it’s soup season again? 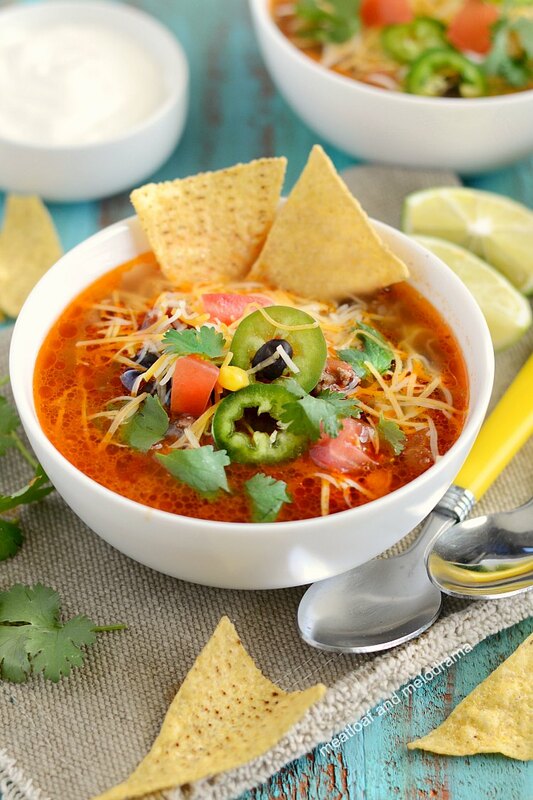 As soon as the temperatures begin to drop, I make our favorite taco soup recipe. 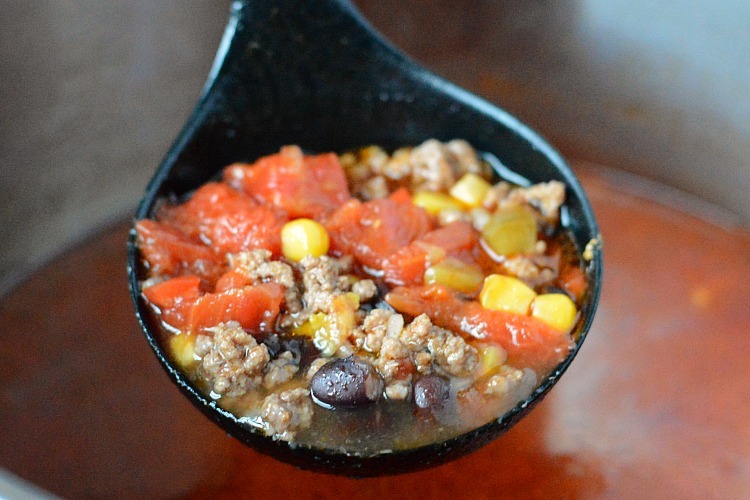 Usually, I make taco soup on the stove, but I’ve been converting older recipes to Instant Pot recipes, and I made this quick and easy Instant Pot taco soup. 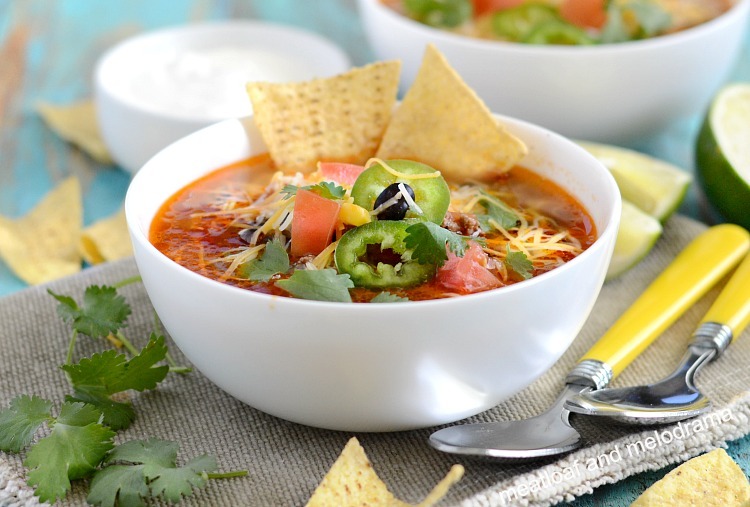 You guys, this quick and easy taco soup is so good — simple, too! It’s practically a dump and start Instant Pot soup recipe, only you have to brown the ground beef first. After that, you just throw everything into the pot and let it cook. I cook with ground beef a lot, and I have a ton of ground beef recipes and Instant Pot ground beef recipes on the blog. 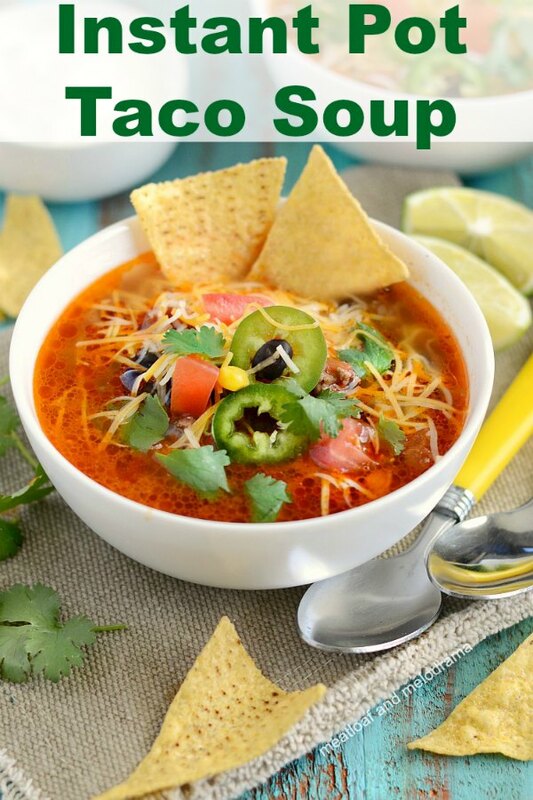 But taco soup has always been one of my favorites — it’s super kid friendly, too! 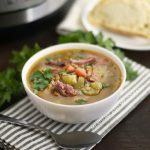 And, it’s definitely one of the easiest Instant Pot soup recipes you can make! You can make taco soup with chicken or beef, but I usually always make my taco soup with ground beef. Try to get the leanest ground beef you can — It saves you from having to drain the fat! What do you put in taco soup? Taco soup is basically tacos in soup form. 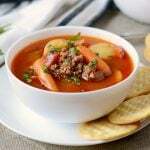 You can make the simplest taco soup recipe or you can load it up with your favorite ingredients, which is what I always do. We’re talking about beef, black beans, corn, tomatoes — the works! It’s similar to the Pioneer Woman’s taco soup recipe, except that I don’t use chili, and I definitely drain the canned ingredients. I also use only black beans in taco soup. To make Instant Pot taco soup, you brown the ground beef, then you season it and add the rest of the ingredients. I add the beans, beef broth, corn, and then I add the tomatoes last. Don’t stir the tomatoes in — You don’t want it to burn. Just dump them on top of the corn layer. Next, you pressure cook the soup for 10 minutes, and that’s it! Allow a short natural release to avoid soup splattering everywhere, and you’re ready to eat! You can put out a taco bar with your favorite toppings. I like to serve taco soup with shredded cheese, sour cream, sliced jalapeno peppers, tomatoes and tortilla chips. You can add avocado slices or guac, as well. Hit CANCEL, then add the beef broth, and stir to deglaze pot if necessary. 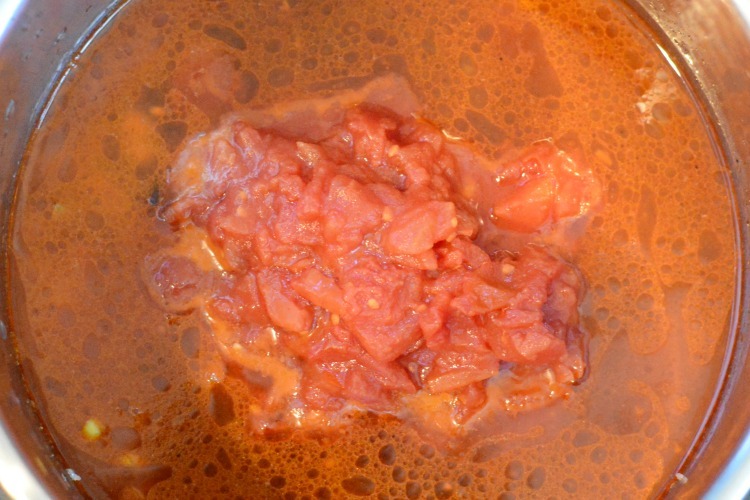 Make sure no browned bits of meat are stuck to the pot. Can substitute your favorite packet of taco seasoning for the spices. 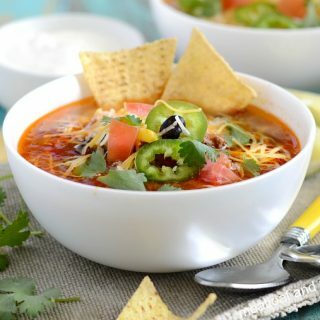 My family loved this easy Instant Pot taco soup! I hope you enjoy it as much as we do. 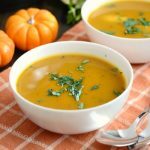 I love Instant Pot soups! This one looks like a winner for sure! Taco soup cooked in the IP is one of my favorites! So easy and the whole family loves it! My favorite flavors in a soup! This is just awesome! Thanks, Abeer! So happy it’s soup season! This soup sounds perfect! Saving! I love my instant pot. Time to get som taco soup going!!! This couldn’t look any more perfect! This looks fabulous! This is going to be added to my must make instant pot recipes! This looks like a great recipe for Taco Soup! Thanks so much for sharing with Full Plate Thursday and have a great week!